…on the eleventh day of Christmas my green friend gave to me….eleven veggie plants…ten cotton socks…nine ginger plants…eight straw bales…seven chocolate bars..six pounds of spinach…five milkweed plants…four smart bulbs…three Amazon Echos…two Ecobees…and a live Christmas tree! So I’ve set my straw bales for this year’s garden, watered them to prepare for planting and now I have eleven organic veggie plants to start my garden! My green friend laughed when I saw the eleven plants because five of them are spinach plants since I eat so much spinach! A couple are varieties that are unfamiliar to me. One is baby spoon spinach which is smaller and sweeter than what you normally would find in the store, one red spinach which is round, green edges and red in the center. It is thicker, sweet and succulent. 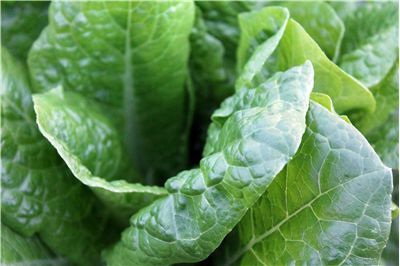 One is savoy spinach which has curly leaves and is crisp, one is semi-savoy spinach which is somewhat crinkly and what you might find in the supermarket and lastly, one flat-leaf spinach which is usually what is grown for canning and freezing but can also be found in the store. Spinach is a great source of vitamin A, vitamin C, vitamin K, riboflavin and vitamin B6, vitamin E, calcium, potassium, dietary fiber, magnesium, manganese, folate, and iron. Romanesco cauliflower plant, one okra plant, one bok choy, one baby bok choy and one golden beet plant. All of these veggies are now some of my favorites so I am looking forward to harvesting these plants in a few months. I will keep you posted on the progress of these veggies in my new straw bale garden. Have you grown any of these plants in a straw bale garden or other type garden and might be able to provide some tips? If so, please add your comments below. This is all new to me! If this is the first post you have read of my Twelve Days of a Green Christmas and you can’t figure out what the heck I am writing about or why I’m writing about the Twelve Days after Christmas click here to read how this all began. Thank you for reading my rendition of the Eleventh Day of Christmas and I hope you join me tomorrow for the Twelfth Day of a Green Christmas!